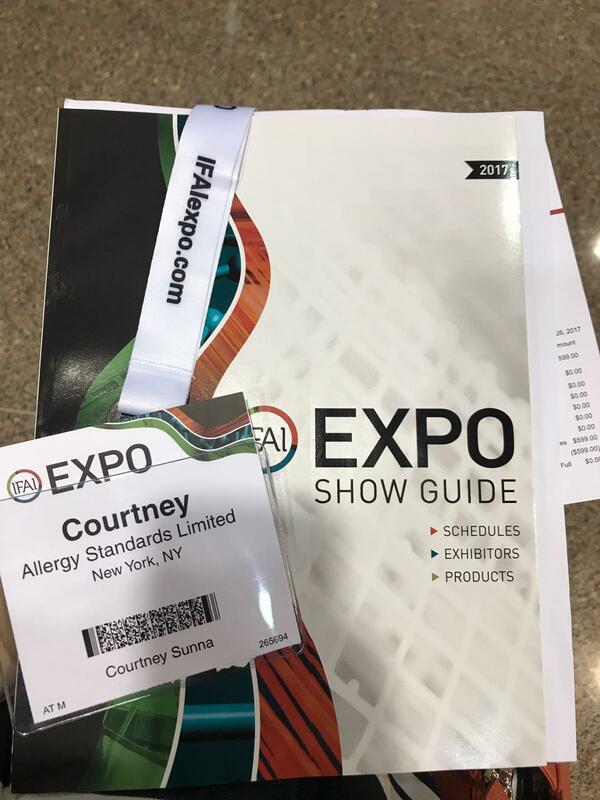 Allergy Standards Ltd., the international standards and certification body with the largest database for asthma and allergy product labeling, recently attended the IFAI Expo to learn about advanced techniques in textile testing, sourcing, and manufacturing. 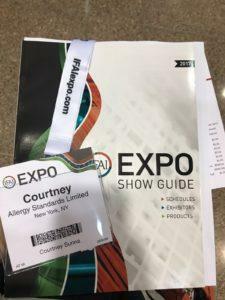 Drawing on the experience of more than 400 exhibitors, ASL learned about recent updates in fiber and yarn testing, evaluation of moisture management methods, and networked with leaders of other Green Certification marks such as Oeko-Tex, Better Cotton Initiative, and Textile Exchange. Over the past few years, home values in the United States have increased, and so has consumer confidence. A positive job outlook with low unemployment has led to expectations for consumers to spend more in the coming years, leading to growth in the fabrics sector. In Europe, Germany is the 4th largest market for U.S. specialty fabrics, and in Asia, China accounts for more than 44% of this market. As the Chinese population increases along with higher GDP and income, it has led to an increase in manufacturing markets investing in infrastructure projects, specifically high-end specialty fabrics. The Advanced Textiles Conference, a full day event leading up to the IFAI Expo, featured a number of panelists discussing topics and trends related to industrial fabrics. Dr. Jan Pegram Ballard, Extension Specialist at the NCSU College of Textiles, discussed test reporting and testing methods for ASTM and AATCC methods, which often have application in standards related to certifying fabrics to be asthma & allergy friendly®®. Dr. Emiel DenHartog, Co-Director of the Textile Protection and Comfort Center, discussed how thermal comfort, breathability, and ‘hand and feel’ moisture management techniques are addressed. Similar test methods for human comfort and performance are evaluated as part of the Physical Testing criteria that must be achieved for bedding products to be certified asthma & allergy friendly®®. For example, in order to see test how fabrics respond to temperature, moisture, and physiological responses, a Sweating Mannequin Test is performed using a heated and sweating mannequin to test thermal insulation, protection, and comfort. Who Should Care About Responsible Sourcing? Brands! As customers become more satisfied and loyal, this responsibility will often trickle down the supply chain. There is value in innovation, opening the door to new opportunities and breakthroughs in textile technology. This is a virtuous circle, as retail stores and brand members will make public commitments to source more responsible and sustainable products once they see the demand and loyalty come from their customer base. Retailers and brands have evolved to help consumers purchase responsible products, choosing to use better ingredients and components on behalf of consumers, whereas in the past brands were often reactionary to negative publicity (Think Nike and child labor scandals!). This both helps protect brand value and ensures they can become an instrument of change. Patagonia is a great example of this, as they set higher transparency demands for all of their supply chain, allowing them to both receive credit for sourcing “healthier” products and also allowing the brand to avoid embarrassment by getting caught. A recent trend in Textile Certification Standard Bodies is the ability to track and trace certified components throughout the various phases which ensures that final products are safe from restricted substances and validates internal claims. Global challenges arise in terms of supply chain visibility and compliance, as it is difficult for brands to track and trace certified components along the supply chain. However, once track and trace systems are efficiently put in place, companies sourcing products know and trust that each component has been validated, helping them make better decisions about what goes into their product. This is often accomplished through a Transaction Certificate at each stage to certify components that are transferred throughout the chain of custody. 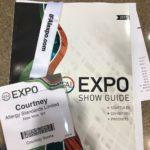 Drawing on more than 100 years of trade show experience, IFAI Expo has been the foundation of providing the specialty fabrics industry a forum for commerce, networking, and knowledge. With the addition of advanced textiles and an all-new shade area, the show continues to feature all aspects of the industry. Click here to view IFAI Expo website. ASL TEAM ATTENDS IFAI EXPO IFAI Expo 2017 is organised by the Industrial Fabrics Association International (IFAI) and takes place in New-Orleans, LA, from September 26-29, 2017.